The Ahmed Kathrada Foundation welcomes the Constitutional Court ruling in favour of the South African Revenue Service (SARS) against an employee who called his team leader a ‘kaffir’. The Foundation commended the Court on upholding one of core values of the Constitution, that being the ideal of a non-racial South Africa. The Court yesterday found that the use of the term was ‘very egregious, derogatory and humiliating’ and amounted to hate speech. This would require fair but firm action, the Court said, to contribute to the eradication of racism. Neeshan Balton, Executive Director of the Foundation, said that the ruling was in line with the Foundation’s call to “make racism expensive for racists”. He echoed the sentiments expressed by Rivonia Trialist Ahmed Kathrada who earlier this year, referring to the spate of recent racial incidents, said that one cannot be shocked that the word ‘kaffir’ is still used. “If these incidents tell us anything, it’s that the k-word is very much a part of the socialisation of some individuals and may well be used without blinking an eyelid in some South African homes…We cannot take it for granted that 22 years of democracy would have entrenched anti-racism amongst all South Africans,” Kathrada stated. Balton added that along with racism that manifested itself openly through the use of racist terminology, as perturbing are the deep divisions and inequalities that remain a feature of South African society. 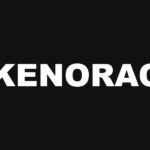 “From the brief overview I had of yesterday’s Reconciliation Barometer report, it highlights the fact that material gains and the daily lived experiences of people still vary greatly based on the colour of their skin. Despite progress, we remain a highly unequal society. So as much as we focus on taking on ‘surface’ racism, we must also work towards tackling structural and institutional inequalities that still persist,” he said. “We call on all institutes – both civil society, governmental and private – to be part of efforts aimed at tackling racism on all fronts. 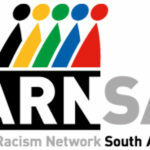 The Anti-Racism Network South Africa (ARNSA) held its second annual conference just a few weeks ago. We’d like to extend the national reach of such a network, so that anti-racism work can be done at both a macro level, as well as on a micro level within communities,” Balton said.